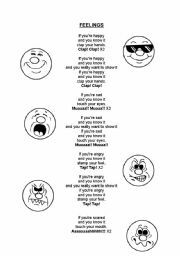 This is a beautiful and funny song to teach some feelings and body parts, suitable for small children. They´ll love it! Pupils must cut the ----- line only. Then paste part A with the other part A, and paste part B with the other part B. It´s that simple and funny! Pupils will love it! There are a couple of exercises to practice the future continuous (going to)and some general vocabulary, to be able to write some sentences about the activities they are going to do in a short period of time. Suitable for ESL learners. Hope you find it useful! A very funny song to learn some parts of the body. Hope you like it! 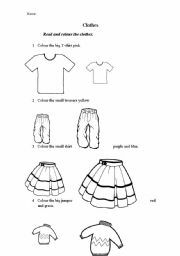 Children have to colour the right piece of clothing by reding the instructions below the pictures. Suitable young English learners. Enjoy it! 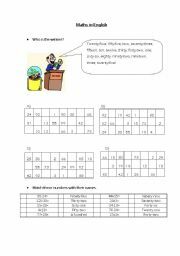 The first exercise is a reading activity; pupils have to gess wich set of numbers makes a BINGO. In the second exercise, pupils have to solve some sums and match them with the results. 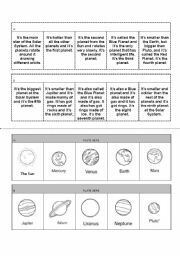 It´s an easy and quick worksheet, suitable for those students who have finished their tasks before their classmates. Hope you like it! 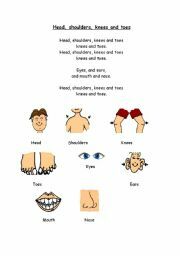 Pupils must read these descriptions and draw and colour the suitable clothes to each boy and girl. 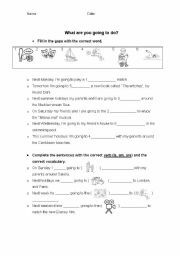 It´s a good worksheet to promote reading comprehension, specially for young students of English. Hope you like it! 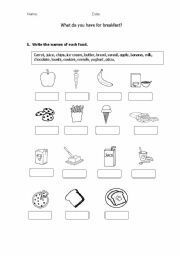 In this worksheet, students will practice the food vocabulary and some prepositions of place. They will also get conscious of what do they have for breakfast, and they can compare their food habits with their classmates habits. Hope you find it useful! In this lesson there are some advices to teach the vocabulary and to start a conversation with the students to talk about what is happening in this storybook. Hope you like it! In this power point there are some descriptions about different objects, and students have to think and guess the objects. The title "Our Computer" is the original one from the topic I was teaching to my students; if you don´t like it, you can change it. Hope you find it useful!